Shadow fencing can be an incredibly helpful drill if done properly. It also happens to be one of my personal favorites. All you need is some open space at your fencing gym. An empty strip is ideal but you want an area that is at least half of that distance. I find that headphones are particularly helpful for blocking out outside distractions. The fencer moves up and down the strip, essentially fencing by himself. The trick is to visualize the opponent and respond to imagined situations. It is an excellent way to practice executing your technique and coordination by making yourself go through the technical motions while focusing on the exact execution of the move and how it feels. If you repeat the same motions over and over again, you can build the movements into automatic responses (much like you do in a lesson) and develop the muscles involved for increased speed and power. By using shadow fencing properly you can take what you work on in a lesson and experiment with how to apply it to a real bout situation. Shadow fencing is also the perfect forum to focus on developing a rhythm for how you move across the strip. In this context you can really focus on the timing of how you move. Does your footwork feel smooth? Are you able to transfer your weight quickly to transition from a preparation to a finishing movement? Are you accelerating fast enough? Is your movement consistently falling into a predictable pattern? Are you staying in the same spot on the strip? All of these are great questions to ask yourself while you move to help you improve your understanding of the tempos for executing an action that are right for different situations. Much like real fencing, you get the best return from shadow fencing if you go into it with a more nuanced mental approach rather than pure repetition and introspection. This is where the shadow comes into play. In this case, you are competing against your imagination. Who is your opponent? What are they trying to do to hit you? Are they trying to draw out your attack? Are they trying to set up an attack of their own? Are they over extending themselves? Are they accidentally leaving you a small opening? How patient are they being? You have to juggle your own thoughts and strategy with your imaginary opponent’s strategy. You will get better at this with practice but if you want to make things a little easier on yourself, assign your opponent a single strategy at a time and focus on imagining that specific situation only. Now you can work on executing your physical actions within the imagined context and replay certain situations over and over again. Since the opponent is doing X, what do you need to do to create the opening you are looking for? Do you need to be more patient? More aggressive with the preparation? Experienced fencers will frequently be able to instinctively feel where they are making mistakes, when the action or mentally contrived situation just doesn’t feel right. Correct yourself and keep working. If possible it’s great to have your coach sit and watch. Sometimes they will pick up on subtle technical adjustments for the actions you are working on and help you correct them. I find that it helps to have an explicit plan of the actions and situations you want to work on in your shadow fencing session before you start. These can be as broadly or narrowly defined as you would like. Write them down if you have to and then spend a few minutes focusing on each. It also helps to set specific time intervals you want to work on each for. I would also recommend at least using your glove and weapon when you shadow fence. This will help you think about and drill the coordination between your blade and your footwork, which is crucial in a real bout. The number of situations you can create for yourself is only limited by your imagination and the contrived context can be a much more interesting and rewarding way to do footwork. No other drill gives you the ability to repeat and calibrate so many different key mental and physical aspects of how you move. The variety of benefits and customizable approaches that can be applied for each individual make shadow fencing one of my favorite fencing drills ever. Click here to like Jonathan’s Facebook Page , Jonathan Yergler (athlete), and here to follow his Twitter handle @yerglerj. I’m not too sure that many people understand these are two different things. But conceptualizing your fencing in terms of your “game” and your “game-plan” can help you get more value from your practices and formulate a better strategy in competition. Even if they might succeed with a specific action or set of actions, far too many fencers (especially young juniors and cadets) have no real idea about why they are doing what they are doing. They take a lot of lessons which is great for instilling certain automatic responses to frequent situations, and they tend to have a concept about general strategy. For example, they might understand that they need to be patient or work to grab the opponent’s blade in a 6 bind to score a touch. However, because the fencer and/or the coach doesn’t conceptualize what they are doing in terms of synergy between their game and game-plan, it becomes that much harder for them to understand what’s really going on. As a result, when bout conditions change they are less effective at adapting their strategy than they could be. Let me start by explaining what I mean by a “fencing game”. 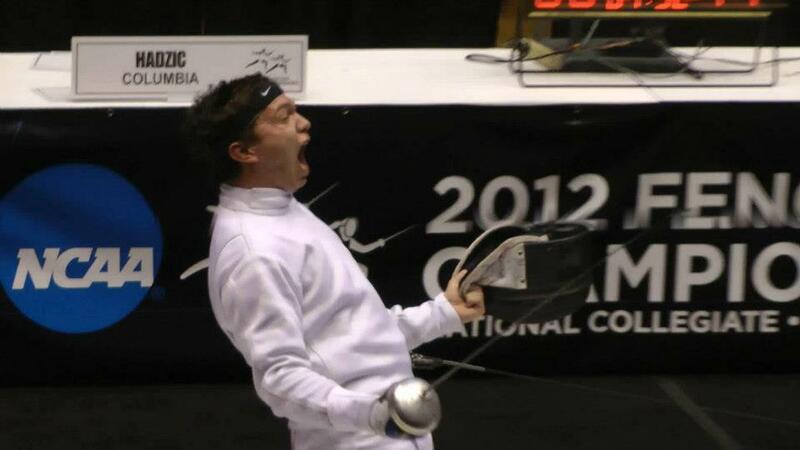 When I talk about someone’s fencing game, I am referring to how they fence. Everyone approaches this part a little differently. Some coaches specialize in teaching a certain way of fencing to all of their students. Then (ideally) they adapt this approach to match their student’s strengths and mitigate their weaknesses. Other times a coach will build a new game from scratch that works for each specific fencer depending on their abilities. Each fencer develops a way of fencing over time with the help of their coach whether they think of it this way or not. But to really understand how they fence requires both the fencer and the coach to understand and articulate precisely why he executes his movements a certain way. What advantages and disadvantages are there to fencing this way? What are the mistakes that the fencer is most likely to make with this approach? For example, a fencer may be most comfortable in a stance where he has most of his weight positioned over his front foot. This could certainly be an excellent technical approach so long as this positioning is chosen by design and the fencer and coach understand the strengths and weaknesses of fencing this way. By positioning the body weight disproportionately over the front foot, the fencer can push off of that leg faster than someone in a more balanced position for a fleche attack our counter tempo action. This positioning can facilitate faster smoother transitions from a preparation to the final fleche while also pulling the leg and foot target more safely under the fencer. However, this weight distribution makes it harder to shift direction and move backwards if the fencer finds himself out of distance (in all likelihood they will need to lean their weight backwards at some point which takes additional time). The positioning also primes the fencer to extend to more of a low-line target than they otherwise would and makes it a bit more difficult to close off the high-line target area. If the fencer feels most comfortable in this leaned over body position and understands these strengths and weaknesses, he might build a fencing game that he can apply to any bout that is predicated on setting up that moment where he transitions from preparation to finish. To compensate for the weaknesses of the stance, he might decide situations where he is surprised and has to retreat while giving him the time and space necessary to take advantage of opportunities to utilize his quick transitions. 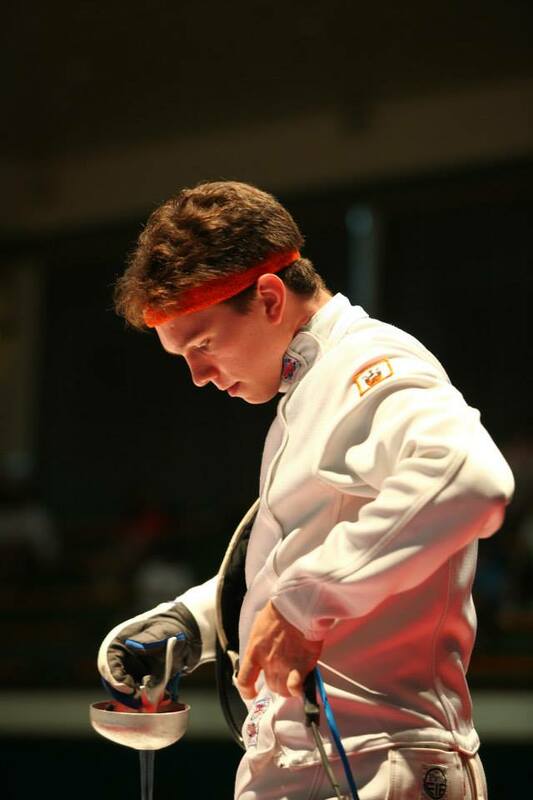 So, now that a fencer has his game, how does he develop it into a game-plan? 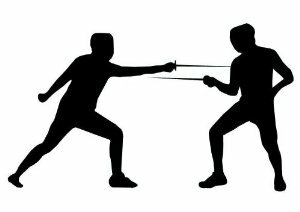 By having a clear understanding of the fencing game, you are establishing a baseline that frames your game-plan in individual bouts. Whereas your fencing game is your overall style and approach you bring to every bout, your game-plan is the adaptable strategy you mold to fit individual bouts and situations. For example, say that the opponent makes a change and you are getting hit on the same action you were successfully using before. This could be because of any number of variables and there are just as many possible ways you could change your game plan in the bout to try and turn it around. By thinking of the problem in terms of your fencing game, you distill the number of options you need to consider to only the changes that fit within your game. Instead of having to mentally process the hundreds or different tactical & technical adjustments you could potentially make (or randomly thinking through a small subset based only on what comes to mind in that moment), you can focus exclusively on adjustments that are optimal within your already established fencing game. Thinking of your game plan within the context of your game ensures that you make changes that still play to your strengths. Consider a fencer like the one I was describing earlier. He struggles to close out in the high line because his body position is leaned forward over his front foot. If he’s getting hit in the shoulder when he starts his preparation, changing his game plan to focus on taking a more pronounced 6 parry puts him in an uncomfortable position and might not work for him given his strengths and weaknesses. Forcing the actions to take place at a bigger distance would instead give him the necessary space to force the opponent’s blade into the low line instead. Changing the game plan this way is a better strategic fit for the fencer’s game. Fencing requires you to be confident in that you have to believe you can succeed at everything you try to do. If you don’t believe you will win, you won’t. When you let doubt into your mind when you are trying to fence, it creates hesitation. Hesitation gives your opponent openings and keeps you from being able to take advantage of your opponent’s missteps. You have to be confident in the preparation you have put into your fencing. You have to believe that you will be ready to respond to whatever your opponent is trying to do. You have to believe that you will be able to change your strategy when it needs to be changed. You have to believe that when you explode with your flesch attack, you will hit the target. This can be a dangerous road to start traveling down. You don’t want to end up being that cocky kid at your club that thinks he is God’s fencing gift to humanity. First of all everyone hates that kid. Secondly, being over confident can blind you to your faults and make it that much harder to actually improve. Letting yourself become arrogant makes it harder to focus on the important details in the fencing and harder to make yourself put the necessary effort into bouts with people you think you are better than. As a result you will frequently lose to those same people. Trying to balance the necessary amount of confidence and humility can be incredibly challenging. Having both would require you to look at yourself from two very different perspectives at the same time right? Anyone can beat anyone else in this sport. Again, anyone can beat anyone else in this sport. There are just so many variables that determine the outcome of each touch in a fencing bout and each of those touches influence each other according to more variables, affecting the outcome of the bout. How often do the best in our sport actually go all the way in a tournament? Former Olympic champions frequently lose early in the competition. In fact this tends to happen more often than the times when they win the whole thing. Understand that the 50 year old lady at your club actually can beat you. It is definitively in the realm of possibility and you are deceiving yourself if you think otherwise. If you are not careful, you can and often will lose to fencers you are “better” than. Come to terms with this fact and internalize it. This should help you realize the humility necessary to counter-balance confidence. But the inverse is also true. You can beat any fencer you come up against, no matter what name is on the back of the jacket. It is definitively in the realm of possibility. Remember that no matter how small it is, you always have a chance to come away with the W. But you also need to recognize that it is just that, a chance. You have to pour everything you have in terms of effort and focus to be ready to take advantage of that chance when it arises. Internalizing the notion that there is always a chance to come away with the victory can help you build the confidence you need to take advantage of that chance. But that’s the reality of fencing. What most of these people don’t understand is why they should be doing actions this specific way in the first place. They just accept that a 6 parry should be done this way because someone told them that’s how you do it in the past. Why isn’t everyone stopping to answer this why question for themselves?! Take some time to be introspective, or better yet start talking to your coach. Get them to explain to you why you are doing what you are doing. What is the strategy you are trying to accomplish? And why does moving my body in this way help you follow through with that strategy? The answer, “because this is technically correct,” is a load of crap. You and your coach need to be on the same page and have the same understanding of what the underlying game-plan is. Once you accomplish this, you can both work to optimize how you execute your actions to make that strategy work. The underlying purpose of taking lessons and drilling specific actions should be about optimally applying the strategy you are trying to implement. If a “technically” correct action does not accomplish this, why not execute the action differently in a way that does? You don’t get extra points for doing something pretty in a bout. An “ugly” action gives you the same number of points. What really matters is that the idea driving your fencing strategy is sound. Maybe this explains how fencers who don’t look very “technical” are often so successful. Far too often fencers who are successful using their own, unorthodox technique are dismissed as bad fencers for thinking outside the box in building their fencing technique. There is probably something valuable you could learn by respecting this type of fencer because there is usually a pretty well thought out strategy behind what they are doing. And heck it’s working for them. Maybe you should try understanding why it’s working for them on a deeper level instead of just getting frustrated feeling like you just lost to an inferior fencer. Too many fencers waste their time trying to force a poorly thought out ideal of perfection in fencing and don’t take the time to process more important variables in fencing like building a tactical strategy, how to create the ideal situation to implement that strategy and how to adapt to the other fencer. My coach gave provided a particularly illustrative nugget about fencing to me recently. “You are never going to be able to do the same touch twice.” Due to the ridiculous number of variables that exist in a fencing bout, you are never going to execute the exact same action because all of those other variables have to be exactly the same for it to work exactly the same way. Your fencing technique should be flexible and trying to force yourself to be perfect at one specific muscle movement by an arbitrary standard of what fencing is “supposed to look like” will make you less able to that. I’ve seen so many fencers get so very frustrated by the futility of trying to do the same “perfect” action in bout after bout. I’m sorry but fencing doesn’t work like that. You can’t just pour in more repetitions and expect to be able to control all of the strategic variables in fencing the same way that you can for sports like running or swimming. This key difference is part of why a lot of pentathletes who get into the sport after being excellent runners or swimmers struggle more with fencing and horseback riding.